A few years after we photographed the wedding of the woman on the right, we got the chance to photograph her mom's wedding! 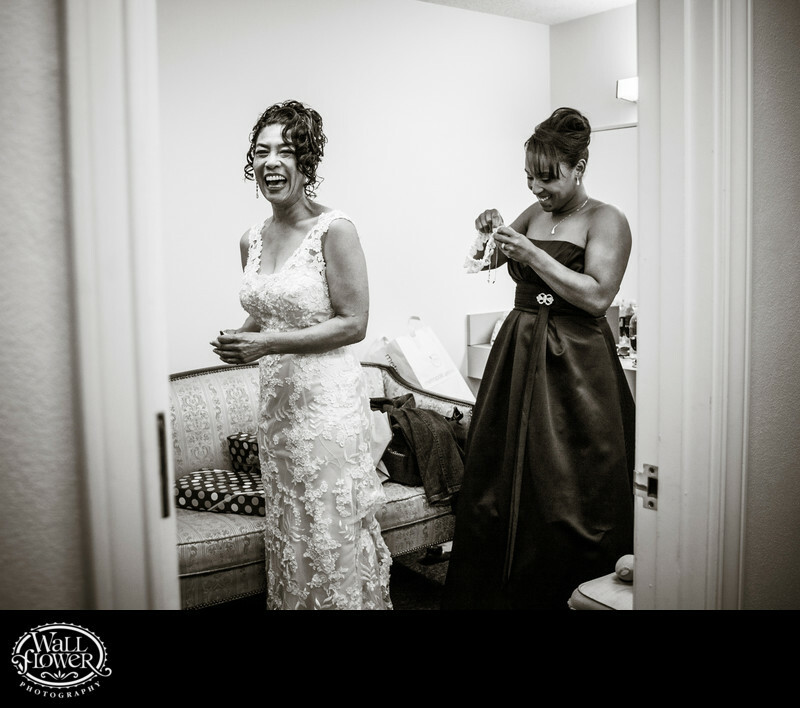 The wedding ceremony took place at Kilworth Chapel on the University of Puget Sound campus, and these two ladies are in an upstairs getting-ready space there. The scene, and especially that gold-toned couch, looks so much better in black and white.